Here at Abacus Web Services, we have a variety of SEO plans that aim to bring targeted traffic directly to your business’s website. 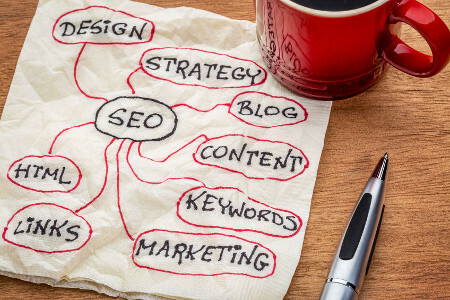 Because of the rapidly evolving nature of SEO marketing, it’s essential to have a specialist on hand to keep your campaign and content strategies up to date and as effective as possible. Why trust us with your SEO? We’ll get you started with zero start-up fees, only a low monthly cost. We offer an initial six-month contract so you can start short-term – our experience shows that progress is most easily seen during the 3-6 month period. You’ll experience direct and consistent contact with David Grace, owner of Abacus Web Services and expert in SEO marketing and management. We’ll give you an honest appraisal of your campaign status to keep you up to date. You’ll receive a monthly report written in clear, easily understandable language that’s free from tech jargon so you know exactly what’s going on with your website and campaign. Abacus offers a free monthly phone call to discuss the campaign in depth (for Gold and Platinum Plan clients). Blog set up, design, updates, and integrated programs.